The Edinburgh Europa Research Group invites submissions of abstracts for a symposium on External Challenges for the Common Fisheries Policy on 11 May 2018. See our Draft programme here. The Edinburgh Europa Research Group invites submissions of abstracts for a symposium on External Challenges for the Common Fisheries Policy on 11 May 2018 at the University of Edinburgh. We invite both scholars and practitioners to submit abstracts in order to provide the broadest range of insights into these important issues. Early career scholars, including doctoral students, are particularly encouraged to participate. The Common Fisheries Policy (CFP) is one of the major policies of the EU. Yet it undeservedly receives comparatively little attention in the academic literature. The same applies to many, albeit not all (e.g. Fisheries access agreements and practice in Regional Fisheries Management Organisations), aspects of its external dimension . The EU is a major international actor in the area of fisheries. It has the largest seafood market in the world and vessels flying its flag fish all around the world. As such, the EU’s interests in the area of fisheries span across the globe. 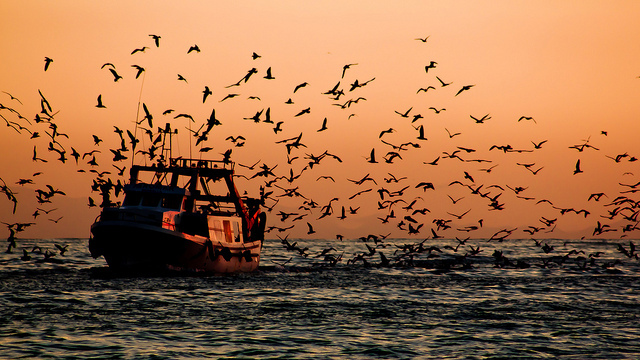 The wide scope of the EU’s interests is also dictated by the interconnected and environment-dependent nature of the fisheries. At the heart of the fisheries-related law of the sea developments since the 1970s is deepening the cooperation between fishing entities. The European Court of Justice (ECJ) also observed early-on in the Kramer case that “[t]he only way to ensure the conservation of the biological resources of the sea both effectively and equitably is through a system of rules binding on all the States concerned, including non-member countries”. Accordingly, the EU has developed and keeps developing its CFP in close contact with relevant international developments. This symposium will focus on the interactions between the CFP and the international developments in the area of fisheries. In particular, it will seek to explore the external challenges standing before the CFP. The symposium will seek to explore these challenges from various perspectives, as the suggested themes below show. Furthermore, submissions from any academic discipline are welcome and will be equally considered in so far as they have the potential to offer thought-provoking discussions. – The promise and limit of using non-CFP-based instruments to support the CFP objectives (e.g. use of bilateral or multilateral trade agreements, unilateral trade measures, development cooperation and research and technological cooperation programmes). – Tackling Illegal Unreported and Unregulated (IUU) fishing. – Aligning the international fisheries regime to environmental realities (e.g. climate change). – Internal challenges with external dimensions (e.g. Brexit negotiations and future EU-UK relations, relationship with the Outermost Regions, the Overseas Countries and Territories, and other territories with sui generis status within the EU that are part of the EU Member States including Northern Cyprus). – The promise and limit of ongoing international negotiations (e.g. negotiations on subsidies and Non-Agricultural Market Access at the WTO, negotiations on an UNCLOS agreement on the conservation and sustainable use of marine biological diversity in areas beyond national jurisdiction). The abstracts should contain a one-page (about 500 words) description of the proposed paper and are to be accompanied by an updated CV of the author(s). The submissions must be sent to europaresearchgroup@ed.ac.uk by 30 November 2017. The proposed paper must not cover previously published work. The selected authors will be informed by 17 December 2017. The selected authors will be expected to present a paper of 7000 – 8000 words including footnotes. The complete papers must be submitted by 15 April 2018 in order to be communicated to the other participants in the symposium. It is the intention of the organisers of the symposium to seek publication of the papers in a special edition of a journal or an edited volume, subject to applicable peer review processes. Such publication will be subject to the wishes of the presenters and no obligation to publish is intended. The organisers also hope to be able to cover travel costs for speakers from outside of the Edinburgh area who do not have institutional support. However, such funding cannot yet be guaranteed at the present stage. Please indicate whether you would need such support in your submission email. * Fishing boat picture by Hernán Piñera used under Creative Commons license.